Mike squeeing. Funniest thing I’ve seen all morning! 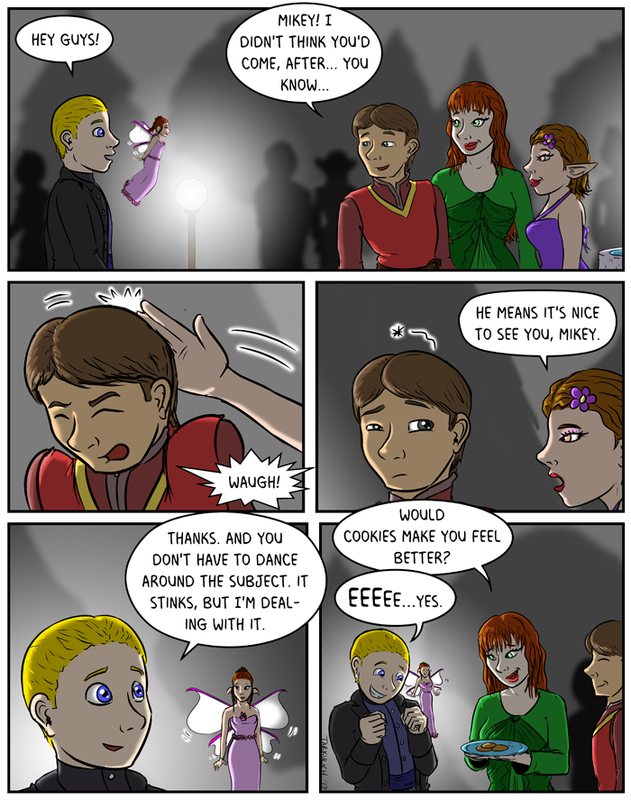 That’s a disparagingly small plate of cookies…or did Mike eat them all in the split second between panels? Bahahaha, the way you did Mike’s like speech bubble is brilliant. Hilarious!